(W) Seanan McGuire (A) Rosi Kampe (CA) Bengal A SPIDER-GEDDON TIE IN! • What? 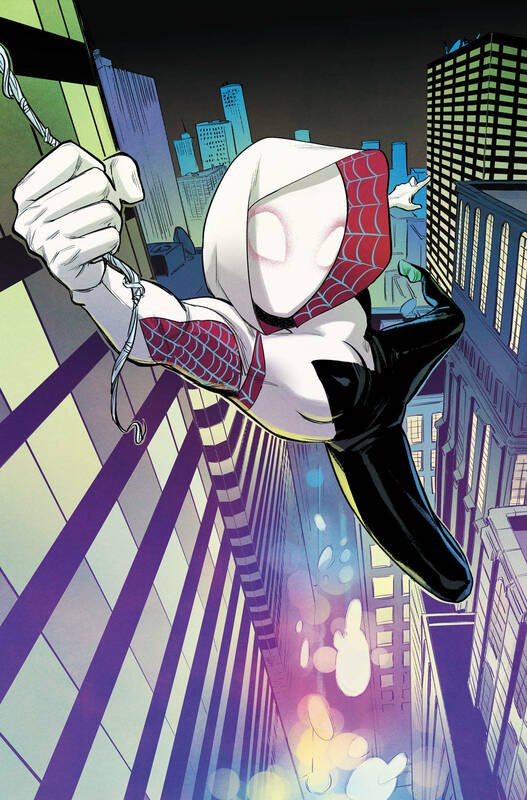 You thought we were done with Gwen Stacy after the first two landmark volumes of her series?! GET OUTTA HERE. • It's a whole new spin on Gwen and her world of Earth-65, brought to you by none other than SEANAN MCGUIRE & ROSI KÄMPE! • We pick up with Gwen right where we left her - fighting crime through her home reality, unaware that it sits on the precipice of interdimensional calamity! Someone's gonna be late to band practice... Rated T+.